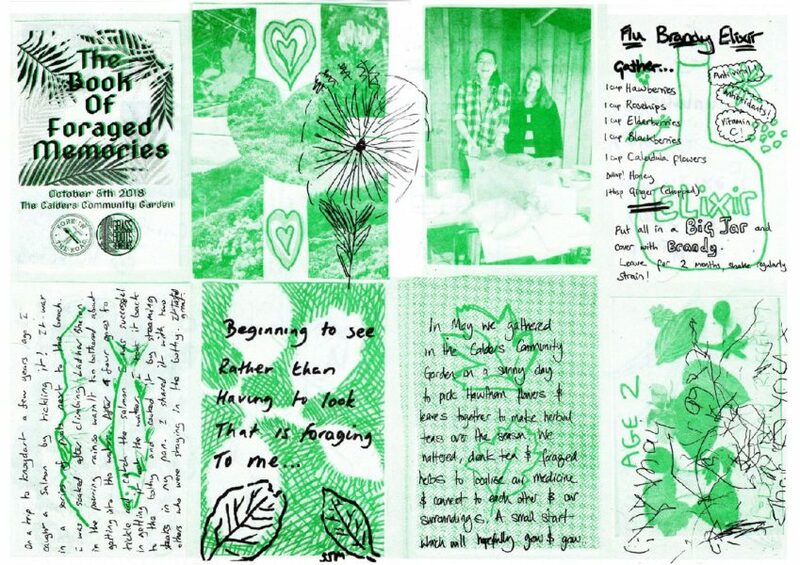 Created through an end of season communal meal and artistic workshop which celebrated stories and memories around the Wester Hailes community’s relationships with plants. Together on the 5th of October 2018 we shared fond recollections, creating a book of individual ideas, stories and words centring on foraging, herbalism & gardening. This book was made in collaboration with Grass Roots Remedies and their community of participants. You can find out more about them HERE.